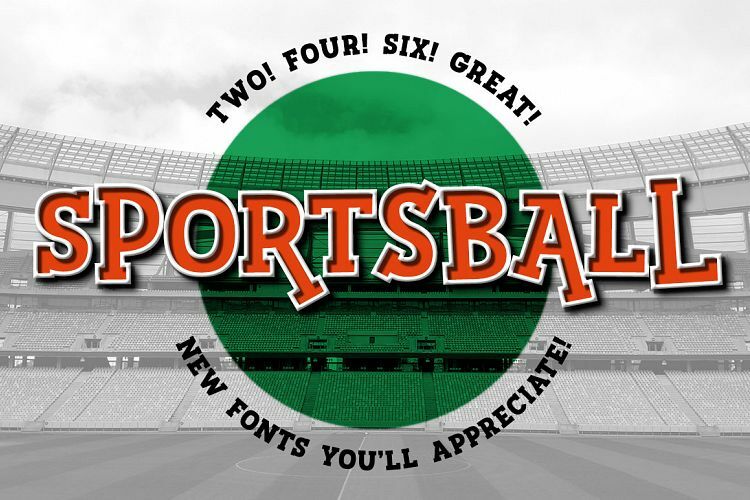 I have combed through the thousands of fonts offered by fontbundles.net and rounded up 10 foolproof fonts for sports fans. Sometimes you need a font that has a little game all of its own! If you're making a jersey, designing a shirt for the athlete in your life, or simply just love the boxy and clean look, these fonts won't disappoint. Houston Sports Font Family is a modern modular display font family inspired by American sports graphics. 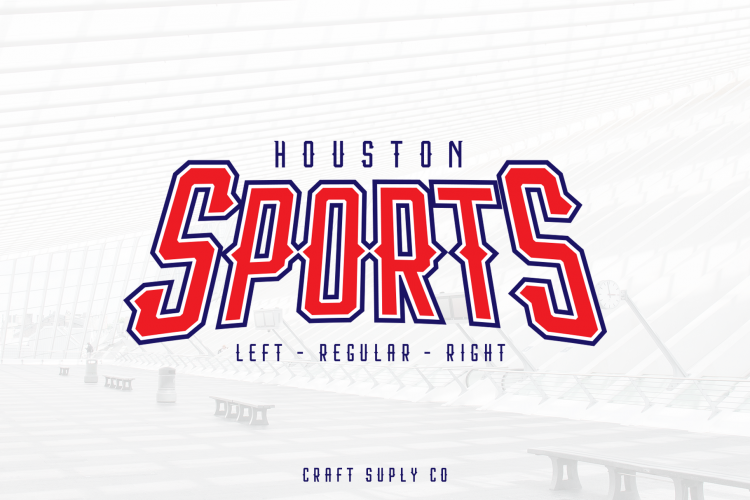 Houston Sports Font Family is based on the compact solid font, by combining a variety of styles. Suitable for Logo especially logo sports, greeting cards, quotes, posters, branding, name card, stationery, design title, blog header, art quote, typography. You want to make a greeting card or a package design, or even a brand identity, craft design, any DIY project, book title, pop, vintage design, retro design or any purpose to make your art/design project look pretty and trendy! 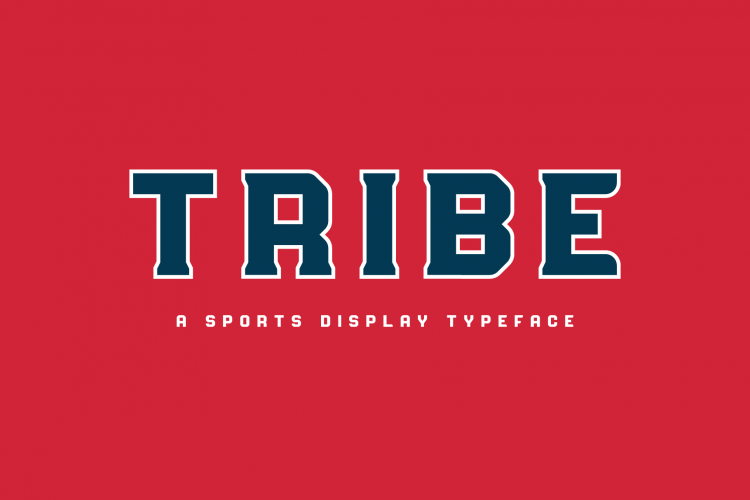 Tribe is a very versatile display typeface that pairs well with itself. Whether you are pairing Tribe Regular with Tribe Serif or Slab you'll end up with a winning combination. Give it a try for yourself! 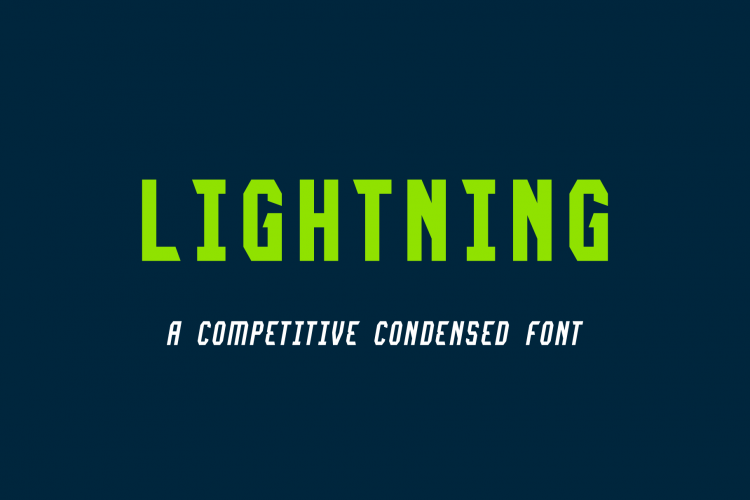 Lightning was designed for those stubborn longer names. The condensed nature of this font makes even the Southwest Louisiana Swashbucklers team name look good. 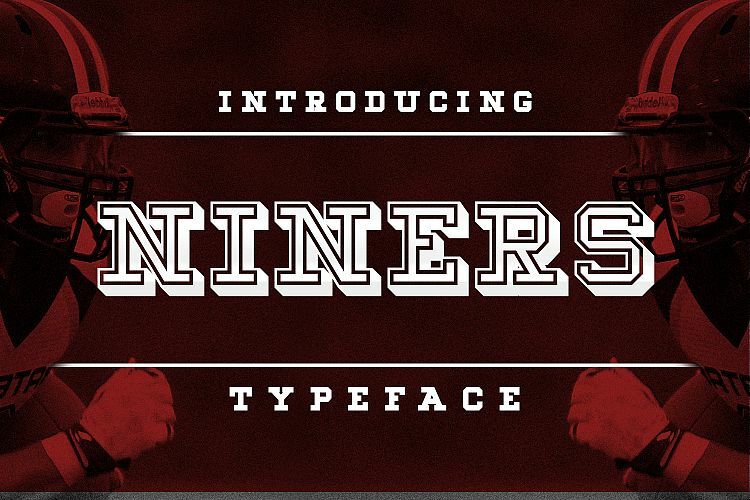 Niners is an American Sportswear Inspired Typeface. Great for sports projects. This would make an awesome jersey or menswear shirt. 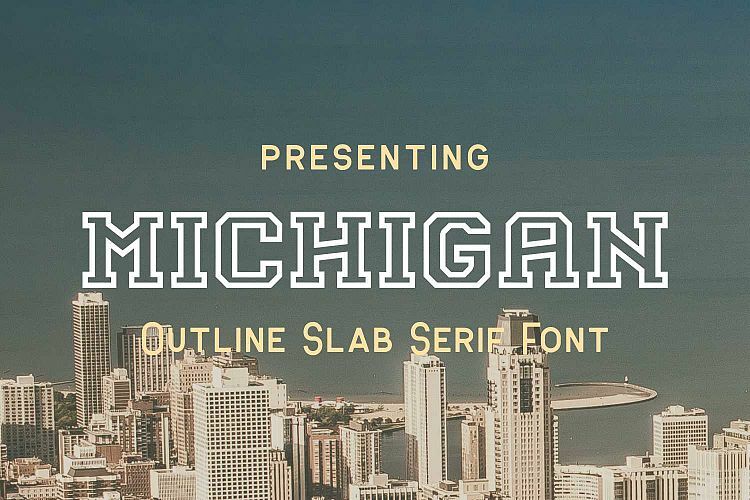 Michigan is a great outline font. Classic lines that are a perfect fit for a sports-related use project. You could layer vinyl easily with this font as well for a bold and colorful look. 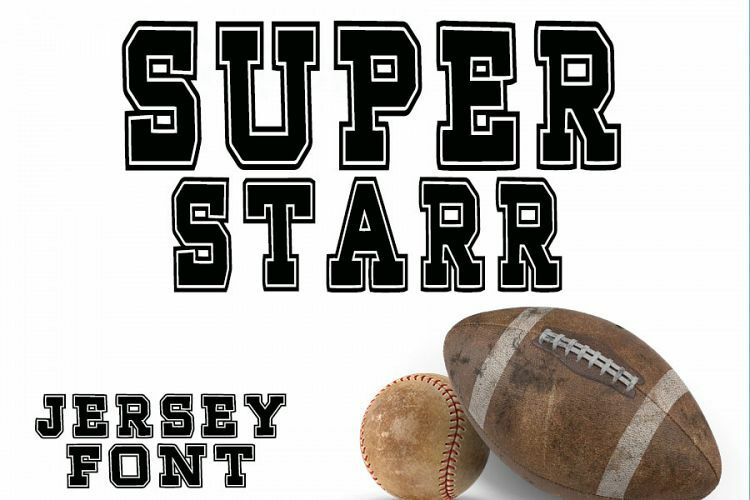 Super Starr Font is an all caps, throwback Jersey font that can be used to make a huge statement! One of the things that is very different about this font is that is was originally designed to be cut with a machine like Cricut. 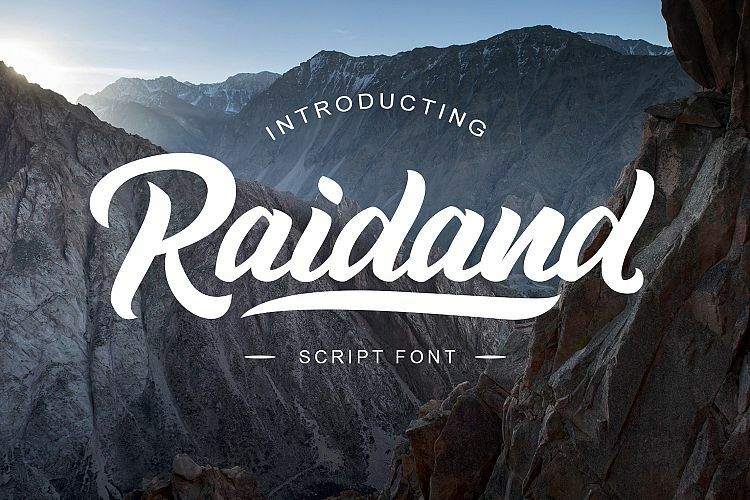 Raidand is a brush script font with clean style. 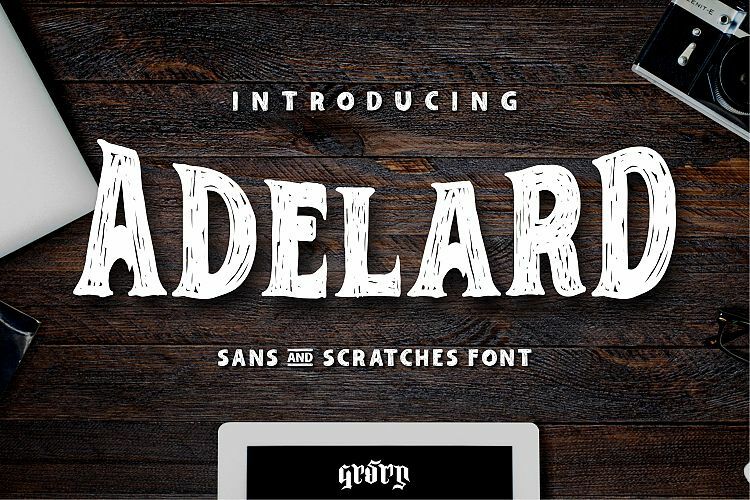 Useful as a logotype, badge, drop cap, packaging, headline, poster, artwork, t-shirt and etc. Great for baseball style raglan shirt projects too! Sportsball font is a semi-athletic-style slab serif font from scratch, using as few nodes/points as possible to ensure it would cut out smooth as butter for crafters. 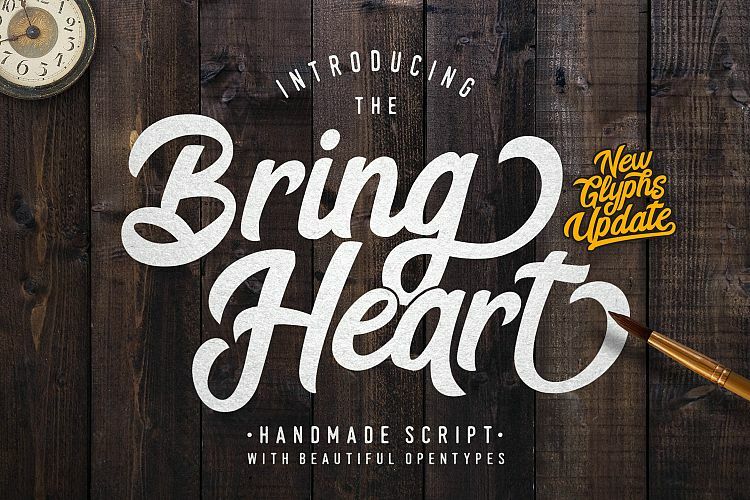 The uppercase set is straightforward and can be used for a wide variety of projects. For the lowercase set, every letter is a bit different. Some are taller, some are wider, some have longer legs. Mix them in with the uppercase, and you can make a fun design with personality! The name Dagger is derived from the sports term which means "a shot made in a pivotal part of the game" which ties in perfectly with Dagger's persona. 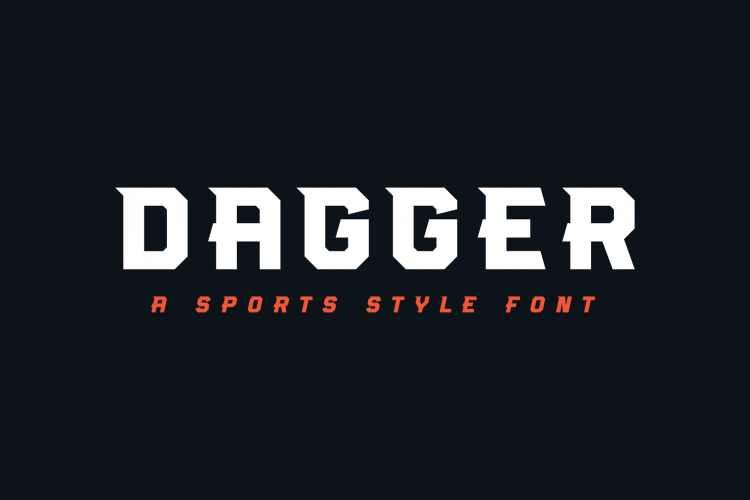 Dagger's sharp, aggressive characteristics are perfect for sports branding, apparel design, or any project that needs a typographic kickstart!